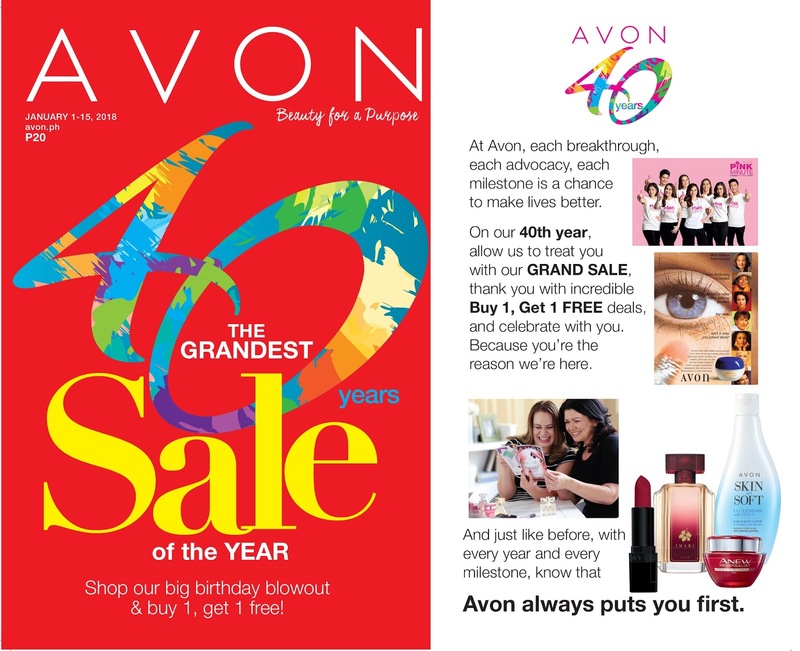 2018 is a huge year for Avon Philippines with their celebration of 40 solid years in the country. Since 1978, the company has led the pack when it comes to women empowerment through beauty, entrepreneurship, and advocacies. Now with 174 branches nationwide, Avon Philippines is inspired to ignite an even bigger fire in the years to come. But it’s not just about sales at Avon - they care for the health and well-being of the women they serve. Thus, advocacies such as breast cancer awareness have been a core driver in the last 40 years, and will continue to do so in their future. For instance, Kiss Goodbye to Breast Cancer opened doors to serve hundreds of thousands of Filipinas who struggle with the disease. Since 2002, Avon Philippines has raised close to Php24M to support the crusade. Beneficiaries include the Avon PGH Breast Care Center as well as selected provincial hospitals in key cities nationwide. “Buy 1, Get 1 FREE” deals are also in store for Avon Care Baby, Avon Care, Avon Skin So Soft, and Avon Feelin Fresh products. Get all these irresistible deals online at www.avonshop.ph or through any Avon Representative.